Can you tell if someone has fibromyalgia by looking at them? Many of my patients with Fibromyalgia have benefitted from exercise, cognitive behavioral therapy and acupuncture. Numerous genes have been identified in the last five years that may be responsible for the neurotransmitter imbalance found in individuals with Fibromyalgia. When someone tells us they have a chronic condition, we (perhaps subconsciously) begin looking for “signs” that the person has a medical issue or isn’t feeling well. As with many health issues and disabilities, fibromyalgia doesn’t present with symptoms anyone would necessarily notice. With conditions like osteoarthritis, doctors can see the internal damage with tests, such as x rays. Fibromyalgia doesn’t alter the look of the body internally, and medical professionals typically diagnose this condition based on widespread pain and other symptoms in the body. Does fibromyalgia have any symptoms that are visible to others? Outwardly most fibromyalgia sufferers look “normal.” People with this condition find this frustrating because they feel sometimes it lessens the legitimacy of their illness; they also may find it to be a blessing since they appear moderately healthy. Actress AJ Langer, whom I interviewed for Aches and Gains about her struggles and ultimate success with fibromyalgia, told me she was in the hospital nearly every weekend for a period of time for fibromyalgia symptoms, and mainly pain. AJ said no one from her acting jobs knew about her condition- she would have her hair and makeup done for work, which she referred to as her mask. In terms of “proving” the depth of pain suffered by people with fibromyalgia, AJ shared that her massage therapist said it best. “If anybody questions fibromyalgia, all they need to do is put their hands on someone who has it.” The massage therapist was referring to the thickening and tightening of the fascia around the muscles, which makes it hard for the muscles to get enough circulation, causing stiffness and a deep ache- two chief characteristics of this painful condition. Like we mentioned in our last blog, University of Michigan fibromyalgia expert Dr. Daniel Clauw said that the pain of fibromyalgia may be caused by an imbalance of neurotransmitters that leads to an uncontrolled “volume setting” – meaning that the body’s pain threshold from the central nervous system is set too low. 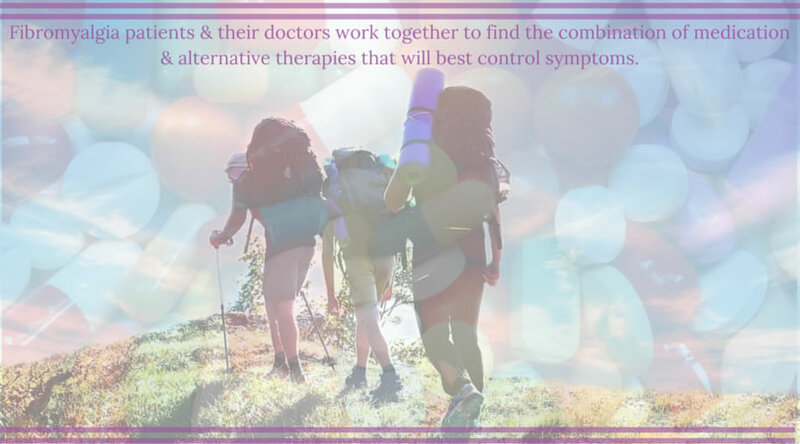 Like many fibromyalgia sufferers, AJ found that a combination of medication, exercise and alternative treatments was the best way to manage her pain and help regain control of her life. AJ said she takes a “baby dose” of Cymbalta (duloxetine), which is an antidepressant used for the treatment of fibromyalgia. This drug along with Lyrica (pregabalin) and Savella (milnacipran) are FDA approved for treating this condition. In addition, she began exploring activities that made her happy and distracted her from the pain- she began surfing more and more, noting that something about the water made her feel good, as did gentle hikes and healing yoga classes. Patients of mine have benefitted from exercise, cognitive behavioral therapy, and acupuncture as well. Though AJ said she still experiences pain, especially in her neck and back, these practices she adopted soothe her mentally and physically, allowing her to live her life more fully. I asked AJ what she learned from being in that place of helplessness when she was at her worst. “It teaches you a level of compassion for every other person on this earth in a way that people who haven’t experienced pain aren’t capable of,” she said. In this Buzzfeed article, someone battling chronic Lyme disease describes what it’s like when no one believes you are sick. This woman was diagnosed with Lyme disease in August 2014 after being sick for two and a half years and visiting 13 doctors. For more information on Fibromyalgia, visit the National Fibromyalgia Association website. Get updates on upcoming episodes straight to your inbox! Sign up here for Aches and Gains Weekly newsletter. Posted in Autoimmune, Blog and tagged alternative treatment, chronic pain, Cymbalta, exercise, fibromyalgia, pain relief, pain treatment. The National Fibromyalgia & Chronic Pain Association is another organization where many have found additional help and support The National Fibromyalgia Association is NOT the only organization which is important for people to know and understand.